What a weekend. 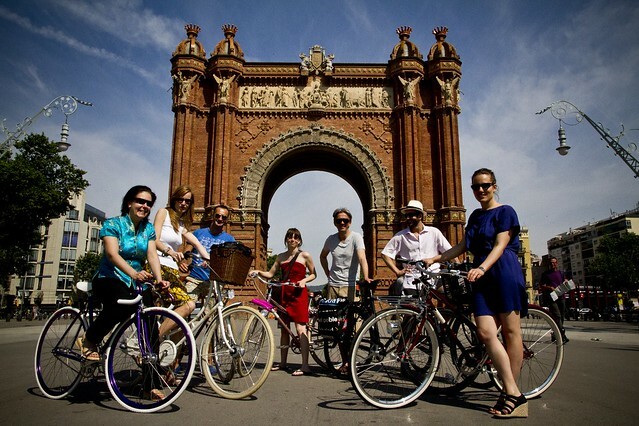 The first Cycle Chic Bloggers Conference in Barcelona was a cracking time. We'll be blogging about it over the next couple of days. Here's some of the gang in Barcelona. From left, Annie-Claude from Bordeaux Cycle Chic, Saskia from Sydney Cycle Chic, Didier from Bordeaux, Anne from Montreal Cycle Chic, Mikael from The Cycle Chic, Tiago from Rio Janiero Cycle Chic (coming soon) and Txell from Barcelona Cycle Chic. Not pictured (but present at the conference) are The Zoltan and Aron from Hungarian Cycle Chic, Joni and Philip from Dutch in Dublin, Mario from Graz Cycle Chic (coming soon), Benoit from Paris Cycle Chic, Miguel from Lisbon Cycle Chic and David from Vancouver Cycle Chic. I'm an italian blogger. The my blog's topic is "good manner" and fashion.